Yadda yadda yadda Lauren Ambrose will star as Eliza Doolittle in the upcoming revival of My Fair Lady directed by Bartlett Sher. Yadda yadda yadda Ambrose is famous for Six Feet Under, but has also worked with Sher before in 2006’s Awake and Sing! and in a production of Funny Girl that got scrapped in 2011 before coming to Broadway. Yadda yadda yadda British stage vet Harry Hadden-Paton will play the upper-class Henry Higgins, and Norbert Leo Butz (Dirty Rotten Scoundrels, the Catch Me If You Can musical) will play Alfred P. Doolittle. 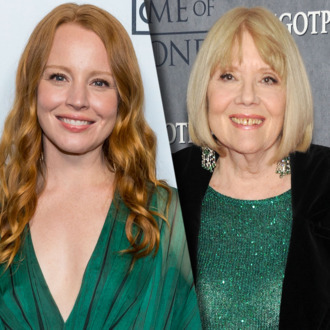 But wait, oh my God, Diana Rigg, the famed British stage actress and Game of Thrones’ late Olenna Tyrell, will play Henry’s mother, Mrs. Higgins. Rigg has played Mrs. Higgins, and also Eliza, before in West End productions of Pygmalion, also she won a Tony in 1994 for Medea, also she’s Diana Rigg.